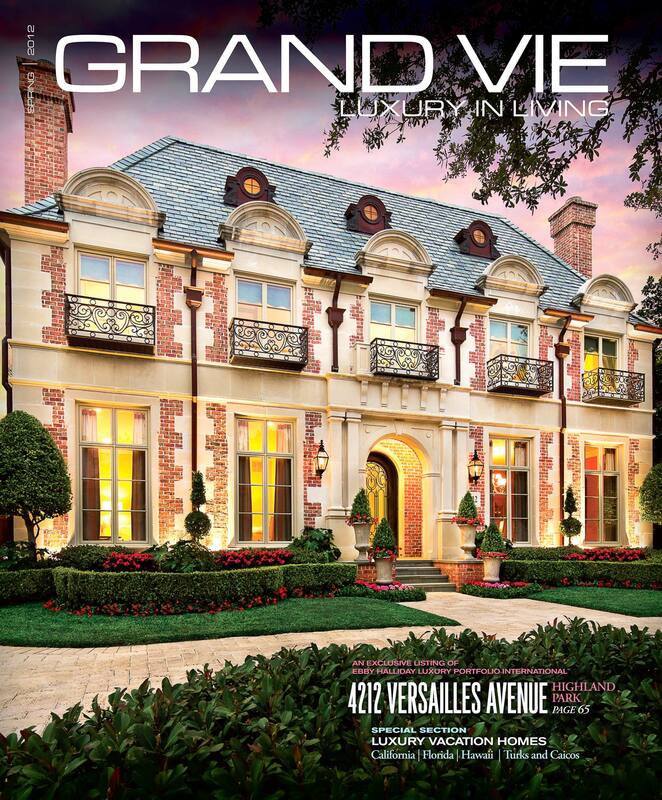 Yesterday Ebby Halliday, Realtors dropped the seventh edition of their Grand Vie luxury home magazine. See an online version of Grand Vie here! Sean Gallagher Photography was responsible for the gorgeous (if we may say so!) cover photo! A special thanks as always goes out to Dr. Delphinium Designs & Events for helping make it look like spring in the beginning of February! Click here for more information about the magazine! Posted in: Architecture, Luxury Homes, Magazine Covers. Tags: highland park, luxury home, magazine cover, Texas.